This means the 1 Series Performance Edition costs just £1500 more than the equivalent ES model, a saving of £1,725. The new model comes with M aerodynamic bodystyling, dark chrome 18-inch M light alloy wheels, high-gloss Shadowline exterior trim, dark chrome exhaust tailpipe and dark line rear lights. It also adds M Sport Suspension plus sport seats with Royal Blue stitching, an M Sport multi-function leather steering wheel and gearshift leaver, floor mats with Royal Blue piping and London 2012 exterior badges. The BMW 3 Series Saloon is also getting a Performance Edition revision. Available on the 118i and 118d, the BMW 3 Series Performance Edition gains an M aerodynamic body kit, an M sport multi-function leather steering wheel, sport seats, floor mats with blue piping, 18-inch light alloy wheel, chrome exhaust finisher and London 2012 exterior badges. The BMW 3 Series Performance Edition costs just £500 more than the equivalent 3 Series ES Saloon, saving £2,030. 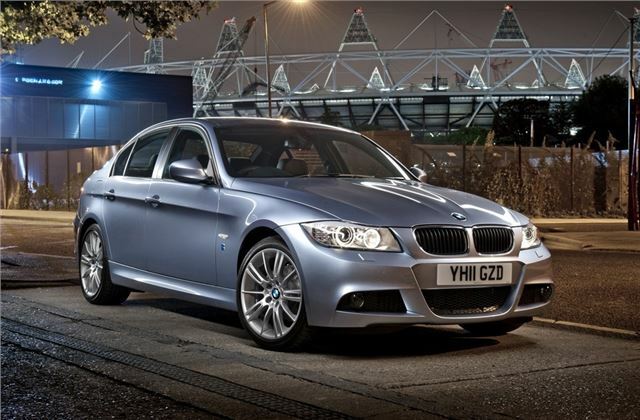 Prices start at £23,195 OTR for the BMW 318i Performance Edition Saloon. The BMW Performance Editions are available in a choice of four colours; Alpine White, Titanium Silver, Bluewater and Black Sapphire, and are on sale now.